It’s time for another entry in our annual Toku Toy Box Giveaway! This gallery is part of that contest and, by commenting in it, allows you a chance to enter to win one of our four grand prizes! This is the biggest Toku Toy Box yet – and it’s totally free! All you have to do is be a member of our forums – so be sure to register on our forums, then check this master list of the Toku Toy Box eligible galleries, and start posting! Good luck! Today’s gallery takes a look at one of the villains from Power Rangers Dino Charge, the villainous Sting Rage who can inflict rage upon his victims once they’ve been stung by his stinger! 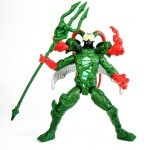 But don’t worry – this figure (unlike some of the other villains) isn’t going to fill you with rage! In fact, it may even put a smile on your face. Check out over 25 images as well as our review by clicking right here! 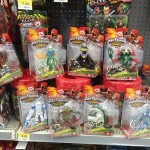 Post in the thread and enter in our Toku Toy Box Giveaway!